Optimised luminaire distribution allows a single row of well-spaced GT7824E luminaires to be used to correctly light the space. In turn, this reduces the quantity of fittings and therefore the overall energy consumption. Careful design of the lighting installation concentrates light onto the road surface and immediate surrounds. 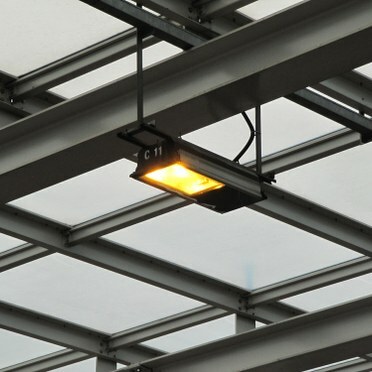 This ensures a well-lit environment and highly efficient use of light. Careful selection of high performance optics and good lighting scheme design minimises spill light onto adjacent areas and into the sky. This reduces waste energy consumption and ecological disturbance in the surrounding area. Cheung Pei Shan road is a busy main road in a highly populated residential area near Cheung Pei Shan in Tsuen Wan and Sheung Kwai Chung of Hong Kong. North of the road are resited villages from the old town of Tsuen Wan and Cheung Pei Shan. To its south are three large public housing estates. 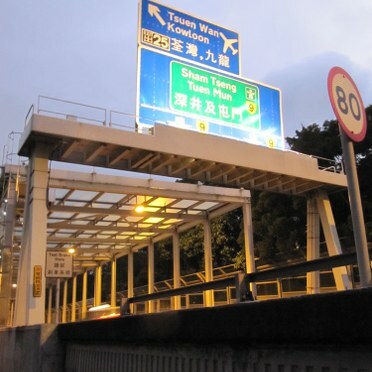 To address the traffic noise impact on neighbouring residents, the Highways Department recently undertook the construction of approximately 645 metres of semi-enclosures and 870 metres of cantilevered noise barriers. Having worked with Thorn on previous projects, the Highways Department already had a good relationship with Thorn and therefore approached the local team for a lighting solution. Mr. Roger Leung, Sales Manager explains: "The noise barriers present a harsh environment and therefore demanded a durable lighting solution. 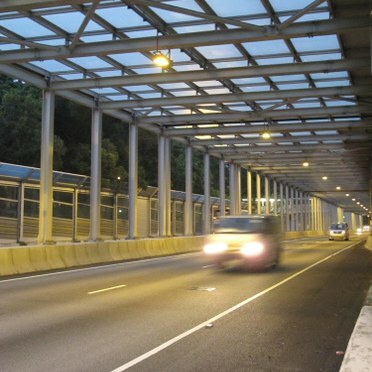 To meet the requirements, we supplied more than 100 GT7824E (400W) tunnel luminaires. "GT7824E is a dedicated tunnel lighting luminaire with robust construction and corrosion protection. Offering a variety of optical systems to suit different lamps and installation geometries, it provides a uniform symmetrical light distribution with excellent glare control. "GT7824E's lightweight construction with continuous closing clips allows seamless continuous mounting for an aesthetically pleasing effect. For ease of maintenance, it also offers front opening without tools, removable gear and easy access to the lamp and connections." 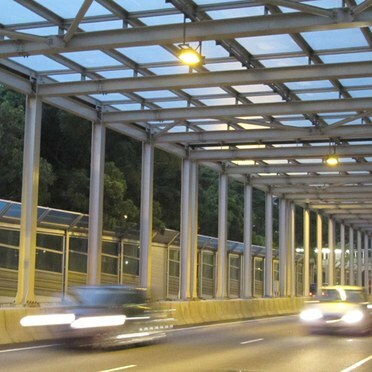 As a result of the installation, the Highways Department benefits from a highly robust and easy to maintain lighting solution. With an enhanced light quality Sunderland saves hundreds of thousands of pounds a year.